San Francisco They say that good things come in small packages, but one time we unwrapped a present that looked like it was going to be jewelry only to open the box and find a crappy keychain. So it turns out “they” lie. 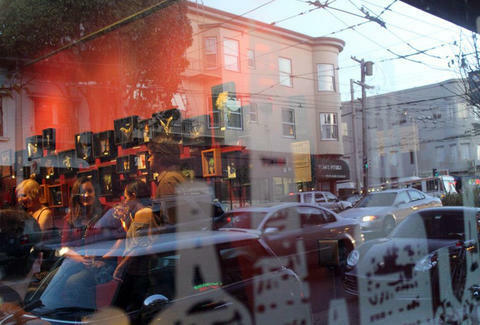 That being said, we believe the little things in life really can make you happy, especially if those things are one of these 10 tiny gems in San Francisco. Cow Hollow At just 136 sq. 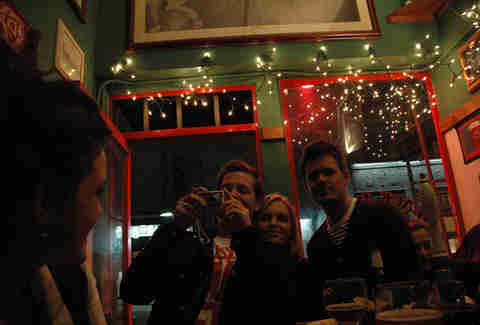 ft., a maximum occupancy of 22 people, and only nine bar stools, Black Horse is SF’s smallest bar, which makes it a no-brainer for this list. 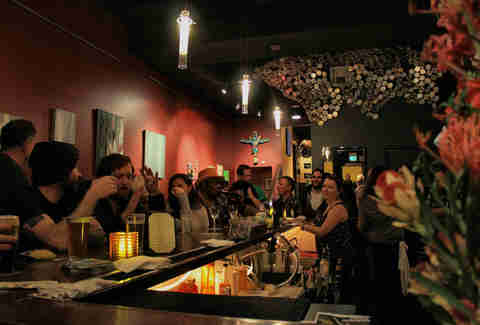 But it’s also one of SF’s best neighborhood watering holes thanks to the friendly, intimate vibe, outstanding cheese plate (the only food served), the fact that beers are kept on ice in a bathtub, and the constant rolling of dice. Know before you go: beer only, men who are sitting must relinquish their stools to women who are standing and, shocker (not really), it’s cash only. Behind the chevroned Dutch door in a closet-sized nook in front of Amnesia, you’ll find hand thrown ceramics that are beautiful as they are functional. 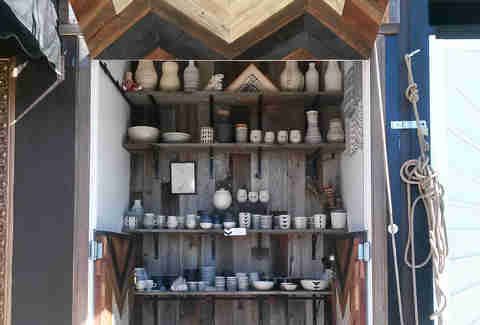 Mel Rice Ceramica holds the distinction of being the smallest shop in San Francisco (it’s 36 sq. ft.), which means you’ll shop while standing on the sidewalk, but Mel Rice has a good sense of humor about it all, as evidenced by her clever, profanity-laced mugs. 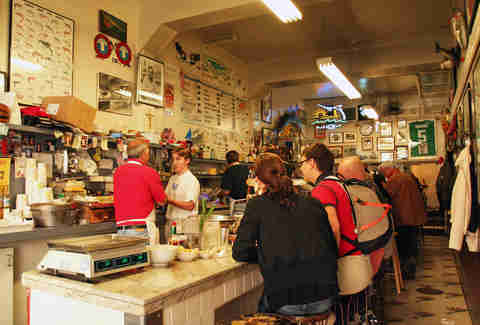 North Beach If you find yourself in North Beach after a few drinks and you’re getting a hankering to chow down, grab a seat at the counter at Sam’s where you can get one of the best burgers in SF. 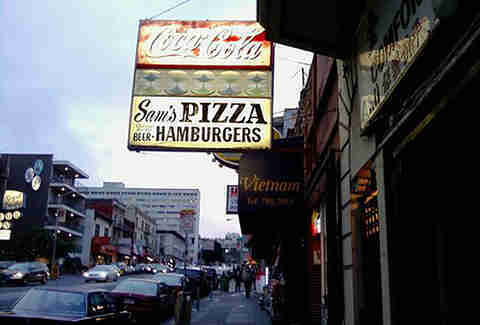 Sam’s has been open for 50 years and not much has changed in that time; it’s still a tiny no-frills, cash-only joint. Oh, and when Anthony Bourdain ate their burger, he proclaimed Sam a “walking Buddha” and “a patron saint.” So there’s that. An ordinary newsstand would never make this list, but The Grand Newsstand by the Ferry Building is no ordinary newsstand. This 17-foot cylindrical kiosk looks like all of the other newsstands you see around town, but if you look a little closer, you’ll see it specializes in self-published art and underground print publications, which means it’s full of ‘zines, greeting cards, hand painted jars, and more, making it a tiny art store, if you will. Prices range from $2 to $20. And though it’s open if it’s foggy or drizzling, the owner has to close shop when it really starts raining to protect the merchandise. We love Mini Bar because it’s so much more than just, well, a mini bar. It’s also a community gathering space that’s always filled with interesting art from neighborhood artists. The space is long and narrow, but every inch is used wisely and the art is really the hero. Though it doesn’t hurt that the cocktails are pretty darn tasty as well. 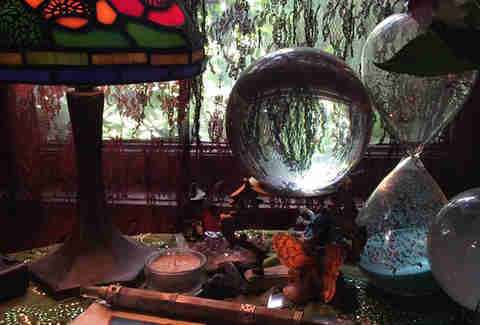 Hidden at the back of a Cole Valley courtyard filled with vines, bushes, and flowers is The Sword and Rose, “a Spiritual and Metaphysical shop” that looks like a hut straight out of a fairytale and doesn’t feel much different when you walk inside. In a good way. This isn’t a magic shop, but rather a place for people who need a little “magick” in their lives. You’ll find incenses and oils that are crafted in the shop, jewelry, books, crystals, and so much more. You can also get a tarot card reading, which are known for being eerily accurate. 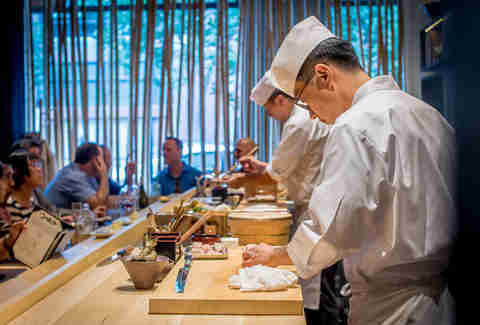 Chef Jackson Yu’s SoMa restaurant has just 14 seats, but the fact that it’s almost impossible to get a reservation doesn’t stop it from being one of SF’s highest-rated sushi spots. Omakase means “chef’s choice” (but you probably knew that already) and there are just two prix fixe menus available ($150 and $200). Yes, it’s a total splurge, but it’s worth it to eat some of (if not THE) best fish in the city. If $200 for a delicious meal is about $170 too much, then head to Mr. Pollo in the Mission where you can get a memorable four-course meal for just $30. 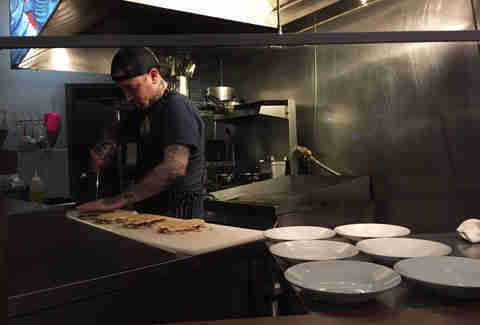 The space is a total hole in the wall and there are just two counter seats and four tables -- so you may have to wait, but the food is upscale, creative, and totally legit, making it worth every minute on line. There’s probably been a line out the door of this famous seafood spot since it opened up over 100 years ago because not only is the seafood the best in town, there are only, like, 18 counter seats total. The food’s not cheap and the vibe’s not fancy, but it’s still worth the wait for some of the freshest, tastiest oysters and crab you’ll ever eat. Leave room for the clam chowder though. 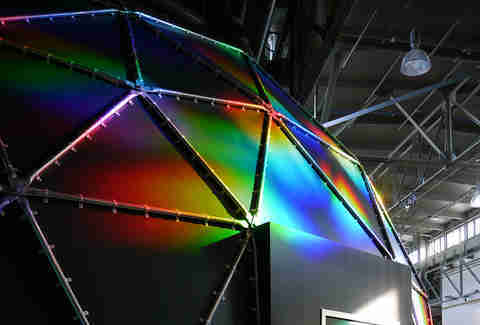 If the Tactile Dome isn’t on your SF Bucket List, it definitely should be. And even though we’re about to describe it, know that no description can do it justice; it’s just an amazingly weird world that needs to be experienced first-hand to fully appreciate. Basically, you crawl, climb, and slide through a pitch-black maze inside a dome the size of a large weather balloon using only your sense of touch to find your way. And you love every second of it. Unless you’re claustrophobic or scared of the dark, in which case: oops! Pro Tip: Go barefoot. And make a reservation because you won’t be able to just walk (crawl) in due to limited capacity and high demand. Daisy Barringer grew up in SF, but her first time in the Tactile Dome was just eight years ago. She wishes she had one in her apartment. Tell her your favorite tiny space on Twitter @daisy.